Start your transition away from Windows. Test out Chrome OS by transforming your PCs and Macs to Chromebooks. No need to buy new hardware. Embrace cloud computing with a lightweight, secure operating system designed to keep the focus on getting work done. Most workers no longer need or use much local computing power, thanks to the use of cloud computing, SaaS apps, and virtualization by today’s enterprises. CloudReady is a modern operating system built for that new world, designed to secure your business in the cloud while dramatically reducing the total cost and effort of managing devices. Built on the same open-source technology as Chromebooks and Chrome OS, CloudReady is the flexible, scalable way to deploy the Chrome environment on almost any hardware. Make it easy for your organization to embrace cloud resources by using CloudReady to turn the computers you already have into Chrome devices—no matter where they are in the world. (on the hardware you choose). It doesn’t matter whether your computers are just out of the box, a few years old, or even 10 years old. 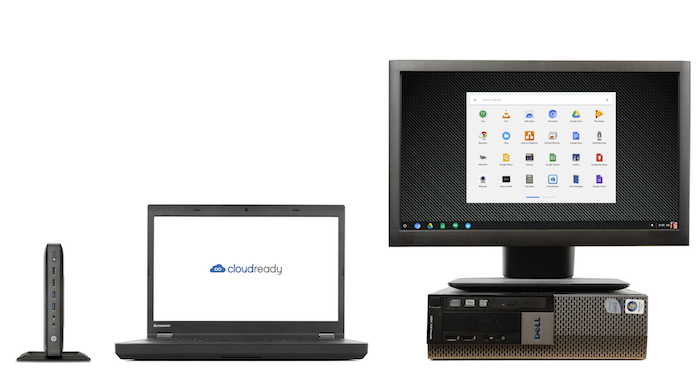 CloudReady can be installed on almost any x86 hardware, giving you the flexibility to deploy the Chrome environment on the devices that make sense for your business...from everyday laptops and desktops to specialized form factors, like ruggedized devices, high-end machines or those with powerful specifications, and even digital signage. Purpose-built to be incredibly secure. The same foundation as Chrome OS. And the same inherent security. Trade the bloat, lag, painful updates, and time-intensive maintenance of Windows for a modern OS. CloudReady brings a whole new level of trust to enterprise devices, with preventive security measures built into the foundation of the OS, not installed on top. Unified device management that scales with you. CloudReady integrates natively with G Suite and the Google Admin console, so you can manage, track, and organize users and devices without any extra time or effort. Using Chrome Enterprise device management, you can enroll your CloudReady machines in your existing Admin console for the control and visibility you need to manage your fleet quickly and seamlessly. Once enrolled, manage CloudReady machines exactly like Chromebooks. 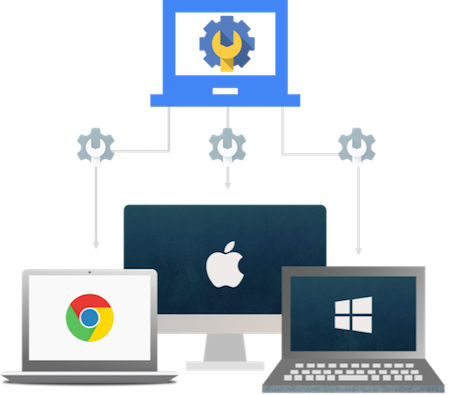 From PCs, Macs, and Chromebooks to thin clients—every device in your fleet can be managed via one web-based console, with the same user and device policies, remote wipe and lockdown, instant policy pushes, and automated background updates. 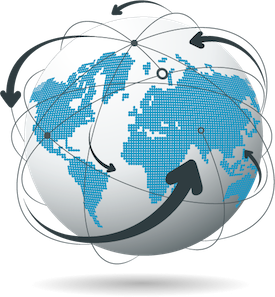 Deploy globally at the press of a button. CloudReady is compatible with WDS, SCCM, Landesk, Ghost, and others for painless mass deployment at scale. And for smaller deployments, CloudReady installs from a USB in just minutes. Trusted by leading organizations around the world. Find out if CloudReady is right for you. Request a trial of CloudReady to see how it works on some of your organization's devices.